Can't wait for your normal subscription shipment of Just Seeds? 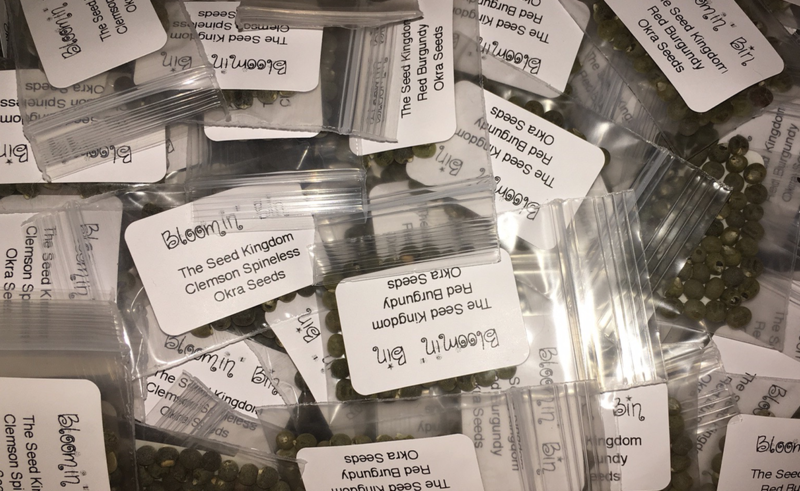 Need seeds of a different variety? Customize your own Just Seeds pack with seeds of your choice! Comes with seeds and instructions only! **PLEASE NOTE - WE WILL EMAIL YOU WITH A SURVEY FOR YOU TO CHOSE YOUR SEEDS AFTER PURCHASE** Choose from: Cabbage, Nasturtium, Cosmos, Eggplant, Carrot, Chives, Basil, Swiss Chard, Sage, Beans, Tomatoes, Squash, Parsley, Strawberry, Oregano, Pepper, Lemon Balm, Marigold, Sunflower, Coneflower, Succulent, Radish, Arugula, Lettuce, Artichoke, Brussel Sprouts, Cauliflower, Broccoli, Local Wildflower Seeds, Corn, Morning Glories, Melon, Mallow, Beets, Cucumber, Dill, Calendula, Peas, Cactus, Spinach, Okra, and many more!